Check your emails if you're a McCain newsletter subscriber! 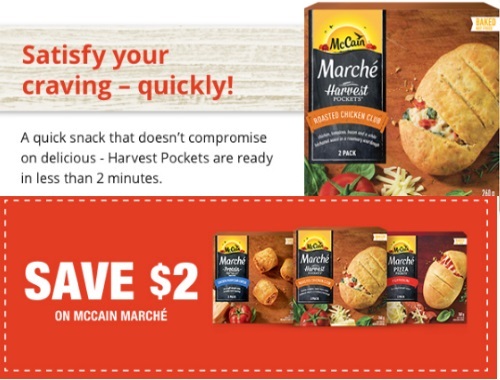 There is an email about McCain harvest pockets and at the bottom there is a coupon for $2 off Mccain Marche. This is a mailed coupon, you just have to click on the link that says "Grab coupon" and enter your info. Offer is available for a limited time only. Not a McCain member yet? Click here to sign up.